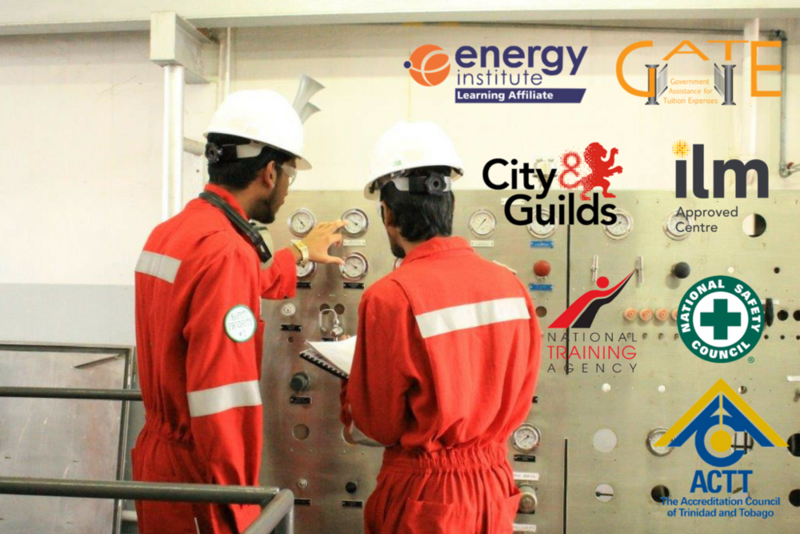 Our course selection boasts a wide range of programmes for oil & gas personnel as well as the general public. We offer a diverse array of locally- and internationally-accredited programmes to suit many needs. Explore our courses here. We are proud to be registered with and accredited by a number of agencies in Trinidad & Tobago, the UK, and the US to bring you the most robust and modern training experience. Learn more about our accreditation here. The Kenson School of Production Technology is the premier tertiary training institution for oil & gas professionals and technicians in the Caribbean. The Kenson School of Production Technology is striding towards being the leader in training for the energy sector in Trinidad and Tobago and beyond. The school has developed special alliances and in-house capabilities to deliver training in operations and maintenance, assessment, and support skills for technical employees and persons interested in entering the industry. We also provide short courses and workshops for non-technical employees as well as for the general public including secondary school students, teachers, auditors, accountants, customer service representatives and others. Learn more about us and browse our courses.